I'm currently enjoying myself at SNAP so this week's Frugal Round-up is short and sweet. I've featured some great projects though, so enjoy and I'll have a recap of my SNAP adventures on the blog next week! First up, I'm kind of in love with this closet/laundry room makeover shared by My Love 2 Create. Seriously. You've got to check out the before and after on this one. 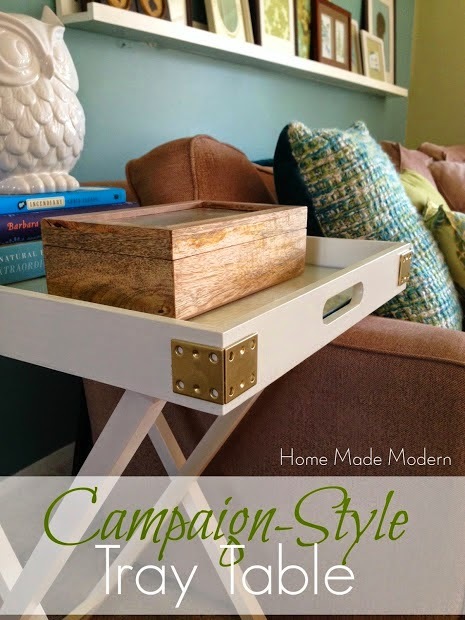 Next up, Home Made Modern shared her adorable campaign tray table. This is such a clever little makeover! Thanks for the party - have fun at SNAP !!! Thank you for hosting such a great party! So many great ideas! I am so happy for you that you get to go to SNAP. Say "Hi" to all of my favorite bloggers for me :) Someday I WILL go to a conference. Thank you for the party and have fun! Have a blast at SNAP! As always, you have a wonderful images and ideas here Wendy! I love those photo frames on the wall and the tray table. I love to have one in my new cabin, as gorgeous as you have here! Thanks for hosting! So many great ideas this week. Hope you enjoy my little baby sandals. Thanks so much for the party, Wendy! Hope you are having a blast at Snap!!! Mindi's transformation of her sister's laundry room is AMAZING! Hi Wendy!! 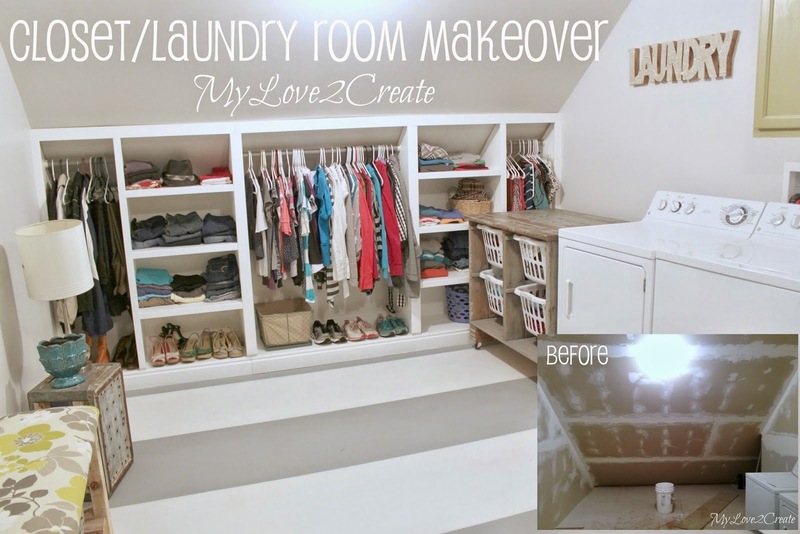 Thank you so so much for featuring my closet/laundry room makeover! And It was such a pleasure for me to meet you at SNAP! You are the best! Hugs!